WASHINGTON --- Over the past year, Afghan military forces have switched from a largely defensive posture to an offensive one, bringing the fight to the enemy and recapturing ground lost in the last few years to the Taliban and Islamic State fighters, said Col. Larry Burris. Burris, the brigade commander of 3rd Brigade Combat Team, 101st Airborne Division (Air Assault), spoke during a media roundtable at the Pentagon, Sept. 6. The brigade returned to Fort Campbell, Kentucky in July, after a nine-month deployment to Afghanistan. There were a couple of factors leading to the Afghan military's change in fighting posture, he offered. First, the Afghans realized that their defensive posture wasn't working, he said, adding that U.S. Soldiers were also advising them on taking a more aggressive approach. Part of the problem was that old commanders, indoctrinated in Soviet-era warfare, were leading Afghan brigades, he said. The Afghan president relieved them of command back in October and November of last year, replacing them with commanders who had previously demonstrated aggressive and effective action against the enemy, Burris continued. "We saw an immediate change." 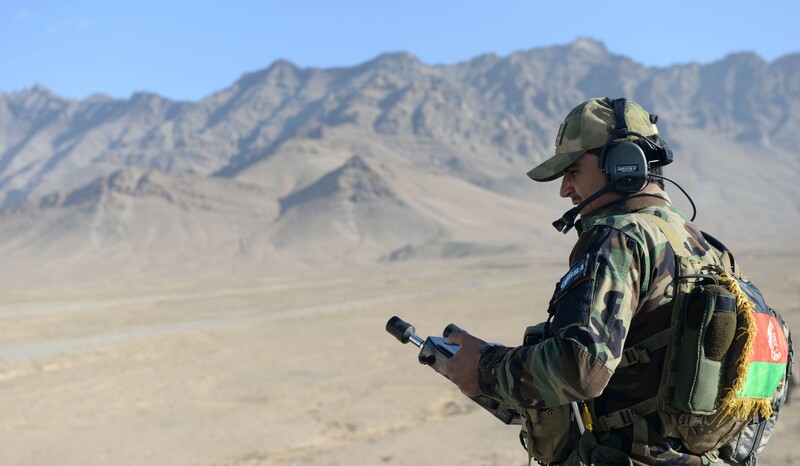 The Afghan military leaders now understand that in a defensive posture, "you're a static target" and in the offense, "you're interacting and making it difficult for the enemy," he said. Besides losing ground, some enemy units have even met with Afghan military leaders to discuss terms of peace, he added. The Afghans have also gone after corruption, such as weeding out "ghost soldiers" who don't exist and swell unit payrolls. That problem, Burris said, is being dealt with by requiring soldiers and police to enroll in the electronic funds transfer system after providing biometric data. The army is also investigating corruptions and making arrests, whether it be for skimming money or fuel, he said. 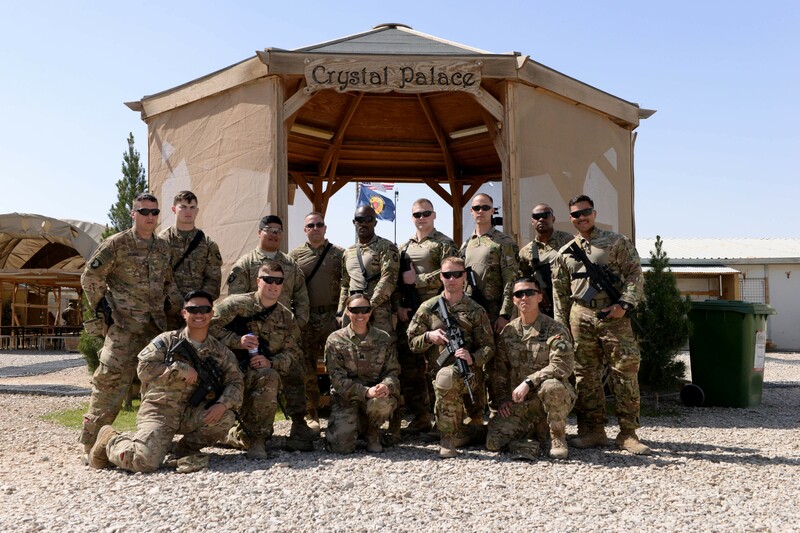 One of the ways Soldiers of 3rd Brigade, also known as "Rakkasans," helped turn the Afghan army around was to advise and train using a creative concept known as "Expeditionary Advisory Packages," Burris said. The packages consist of a mix of U.S. Soldiers and equipment including security elements for force protection, counter-fire radars, howitzers, mortars;, intelligence, surveillance and reconnaissance equipment, forward refueling capability, surgical teams, explosive ordnance disposal advisors and so on, he noted. Because the Rakkasans are spread thin across a vast swath of the country, these packages were designed to be deployed to Afghan brigades in the field for anywhere from a day to several weeks at a time, he said. Packages are sized and configured for the brigade to which they'll be assigned, the length of stay there and the mission set, he said. The U.S. Soldiers who accompany their package will then advise their Afghan counterparts, he said. 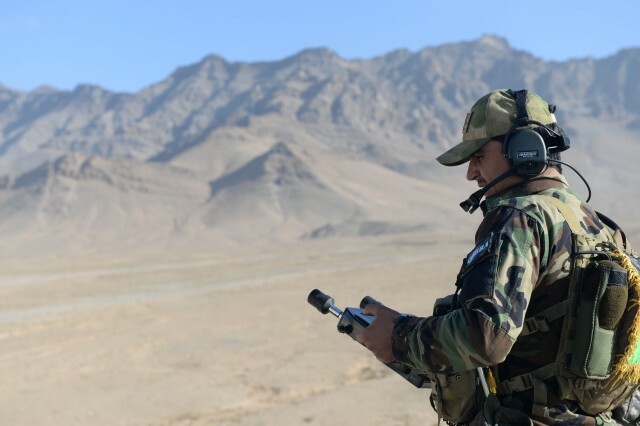 For instance, EOD technicians will watch the Afghans do route clearance and will then advise them on ways to improve. The Afghan brigade's leadership is evaluated as well, Burris mentioned, saying he thinks that part of the Afghan president's decision to change leadership at the top was the evaluations he received from the Rakkasan advisors, via the chain of command. Expeditionary Advisory Packages are not a new concept, Burris said. One or two were tried in 2015 and more in 2016. What's new, he said, was the frequency in which they were used during the last year. In all, the U.S. advise mission has succeeded, he said, with Afghans taking the lead and even coordinating elements of their air force and army to provide close-air ground support and targeting strikes. "They've made great strides integrating their air and ground," Burris said. For his part, Burris said he's especially proud of the work his Soldiers have done in Afghanistan and that he's grateful for the good training the Army has provided them at the Joint Combat Training Center at Fort Polk, Louisiana, before they deployed. In particular, he singled out the decisive action training they received that emphasized the fundamentals for surviving on the battlefield when it becomes kinetic. The saddest time in Afghanistan, he said, was when three of his noncommissioned officers were killed and one wounded during an incident June 10, just a month before the Rakkasans were scheduled to return home. Burris said a few junior Soldiers who survived the initial attack entered the building where the attack occurred, took out the terrorist and effected an extraction. That initiative from Soldiers who were not even NCOs is indicative of the training and Army values they had, he said.